Women always suffer under the guise of grand narratives likes religion, family, nationalism, and we need to realize that feminism is all about forming a sisterhood beyond man-made barriers. For feminism to penetrate minds and bring about a revolution, cross-cultural exchanges are the only way. 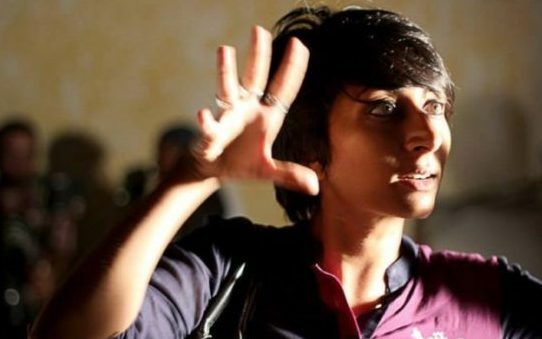 True to the spirit of the ‘female idol’ blog series, I am excited to introduce you to the Pakistani filmmaker, who is bringing about ground-breaking changes in the world of feminism, films and education. Iram Parveen Bilal, an alumnus of Caltech has held on to her love for films. Her debut ‘JOSH‘ premiered at the Mumbai International Film Festival. Her latest film, ‘Extinction’ takes a closer look at Trump-propagated islamophobia. Read her unabashed views on films, stereotypes, gender disparity, racism and terrorism, exclusively on WMF. With a profound cross-cultural background of having lived in Pakistan, Nigeria and in the US – how was growing up, for you? My mother somehow kept it all very academically focused for us, so it felt consistent and there was some stability necessary for child-raising. Though from the beginning, the diversity of experience has been unmistakably intriguing and has formed an innate sense of adaptability, whether it was eating “tuwo-shinkafa” at lunch time in Nigeria or learning how to quote Urdu poetry in debates, or understanding what “GroundHog day” really means, the intricacies of three continents has certainly given me an edge of imagination which is a fierce tool in my filmmaking kit. However, when I came to the US for college, I had just turned 17 and was half across the world from the comforts of family, and that’s when the real growing up began. What drew you towards filmmaking? To you is cinema art or science or politics? I think it is a bit of all three. I make films, that have an impact on me, and impact always seems to get political. In terms of plot and character, people are scientific, reactions can be calculated or not, so they are artistic as well as scientific. I really do think art and science are conjoined twins, connected supremely. What drew you to the particular stories and individuals that you have selected for your film, JOSH? Though it is inspired by the life of Parveen Saeed, how much of the film stuck to her life? JOSH was very loosely inspired by Parveen Saeed. It is an original story inspired by Parveen Apa, by the Pakistani spring, by the fascination and questions I face about Pakistan in the West. It came out of a desire to address issues that I’ve grown up facing, observing and tackling such as domestic violence, women and children’s oppression, feudalism, uprisings. To its benefit and perhaps detriment, I tried to address a lot of facets that intrigued and troubled me, in JOSH. While tackling subjects concerning women, how do you ensure that your film addresses (or breaks) the cinematic stereotypes associated with women? It is very important to show both fear and hope, triumph and defeat for my characters, to make them real. Sure some of my films deal with “issues” but I feel a lot of the solutions and thought provocation is hopeful and important. All my films show very strong women so just by their existence, they break the sad old tropes of showing women on celluloid. What do you think are/about the problems which make funding process of the film difficult and often times impossible because of the gender of the filmmaker? The notion that women do not know how to make “commercial” films or that they are not good with money. The issues are that for the longest times, cinema creation has been in the hands of men, and they are primarily making content directed towards the male gaze. So there is a fear of losing that control. I think women can bring into the fold, a lot of underserved audience members and eyeballs if they are allowed to play in the same box as their male counterparts. Then there is just plain old sexism and ego, a fear of the strength of the female voice. Women, by nature, are very good with emotional reading and hence direction. It is almost insane and counterintuitive to think that they can’t be successful storytellers. Storytelling to me is not just in set pieces of helicopter shots and action, not to say that women can’t tell those stories as well, but yes it is true, most women filmmakers focus on a lot of nuances in addition to the genre necessities of even action and thriller films. Specifically, at least in Hollywood, a lot of women aren’t represented, and when you don’t have an agent representing you, you are not in the mix and lists of the jobs that are out for hire. Similarly, if you haven’t been hired to do a high budget film and the lists are being generated based on who has already hired a high budget film, then you can see the pattern of the catch-22 loophole keeping women out of the high paying jobs and filmmaking opportunities. Do you think cinema is a powerful tool for engaging in social justice activism? Have you seen tangible outcomes from the films that you have made, in terms of social change? I was fortunate to see the power of service through art, demonstrated when someone who had seen my first feature film JOSH in Australia was so moved that he threw a fundraiser for the food kitchen that my film was inspired by. The money raised was used for food ration for 150 families for the entire month of Ramadan. The theatrical release of the film in Pakistan happened to coincide with the distribution time. The leader of the Kitchen, Parveen Saeed, invited me to personally hand the bags of food ration to the women of the village. When Parveen opened the shutters of the warehouse, and these women leaped towards me, I instantly burst into tears and had to turn away for a silent moment. This was a strong “life” moment for me. The fact that their children, who I had never met, would get to eat for a month because of some dialogues I was a vessel to write, in a comfortable café all the way in Pasadena, a mile down from here, blew my mind. This was the power of art. I realize what a small piece of the giant puzzle of humanity I am. It empowered and disempowered me, humbled me…at the same time. That right there…that is why I became an artist. In that one moment, I realized, almost endorsed myself that the chance of becoming a filmmaker, was worth taking it. In a world devoured by racism, misogyny and terrorism, how do you think arts can thrive and bring about a change, if at all? You know, this is a daily struggle for me. I gave up a very promising career in the sciences as I felt I could make a bigger impact through the arts, but with the struggles of financing and distribution, I often wonder whether a career in tech was more advisable in terms of efficiency for impact, a different kind of impact, but nonetheless, impact. It is important to try and engage action and issues with art, I feel. At least for me, personally, art just for the sake of art, is not what I strive for. Art for the sake of communication and if possible, towards actionable items and change, is amazing. So can we solve global terrorism by a film? No. But can we provoke thought and inspire change via impacting the hundreds of brains engaging with our art, yes. 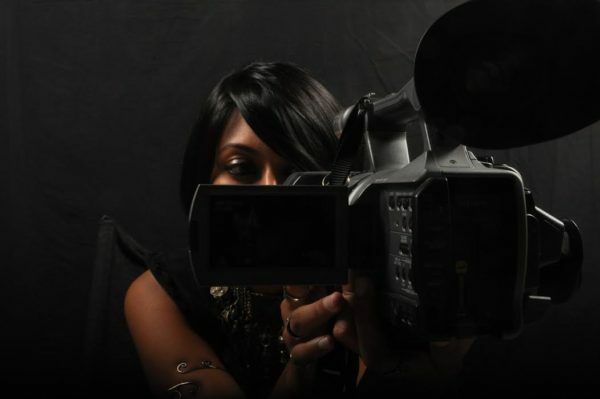 Could you name some of your favorite female filmmakers? Julie Taymor, Mira Nair, Nicole Holofcener, Jane Campion, Andrea Arnold. Do you think cinema can be a cultural gadget, that can break barriers of manmade boundaries? How can collaborations beyond border be made possible? The mere fact that we all know of international film and filmmakers, means that cinema has broken down manmade barriers. Emotional storytelling is universal and by that definition, cinema is as fluid and barrier invisible/barrier resistant as can be. 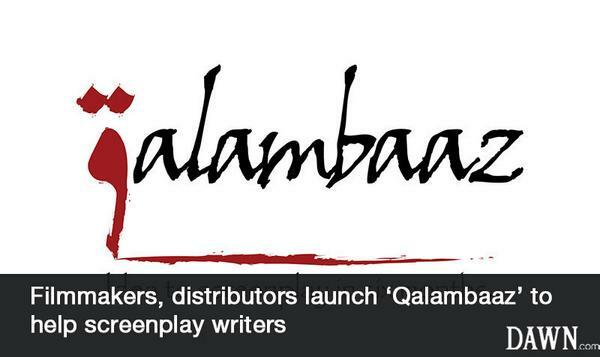 With my screenwriting lab, Qalambaaz, we have been doing cross-border collaborations for two years now. I think, making it simpler and not involving governments is the way to go about it. We should do it on an individual level and maybe the system will mimic it. Change is always more effective bottom up, I feel. I’m a big fan of international collaborations and specifically in terms of India, I’ve been very fortunate to have mentors, peers and collaborators in the film fraternity. Do you think there is a lack of female idols in this world? How many of us are genuinely familiar with Sharmeen Obaid, Deeyah Khan or Afia Nathaniel? What can we do about it? Of course, there is a lack of female idols, but not in their presence only, their representation too. I’m familiar with Sharmeen and Afia as I consider them to be peers, we are the same generation of filmmakers and know each other well. I’m embarrassed to admit, I’ve never heard of Deeyah Khan until now, but am honored to know of her work and look forward to watching it. I think systemic sexism can only be cured if we have feminists at every level. So from parents to peers to bosses to financiers to critics to distributors to journalists who care about judging women in a level playing field and then talking about them so we don’t face generations of silent giants that could have benefitted millions just by their mere showcasing. What would you like to tell the young women? To young women, just remember, “no” are just two letters in “negotiate”. And always surround yourself with honest friends, partners and family because more often than not you will need them to weigh in to protect your true and honest self when you face character assassinations that are genuinely sexist from the outside world. Also, let’s help each other. We need to believe in a culture of plenty, not scarcity if we are all to rise. View it as a wave. An uprising. Lastly, you’re a woman, and to me, there’s nothing stronger-willed and fiercer-wired than that on this Earth. Embrace your power. You were born to create, in every manner. Do it. Build things, make things and share your power. It is needed and imperative. I have a TV show set in the UK that is being developed as well as my next feature FORBIDDEN STEPS, a film about a Pakistani-American Cop in Chicago, that is hoping to hit the floors early 2017. I also was just hired to do a film, EXTINCTION, in response to Trump’s so-called ban on Muslims.